Released on Monday 3rd June 2013. 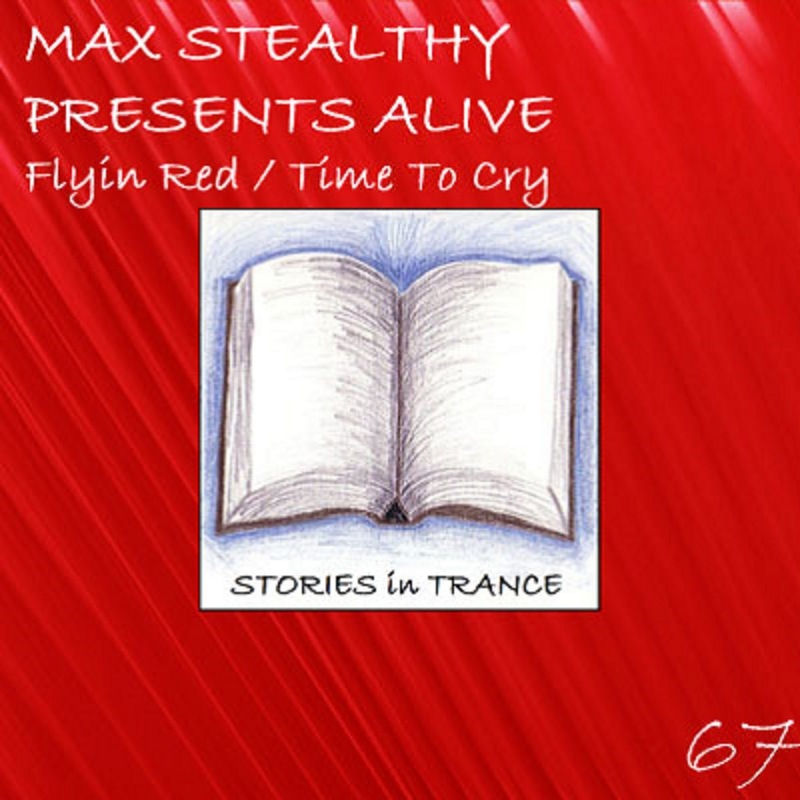 Stories In Trance give you our 67th offering, in the shape of Max Stealthy Presents Alive with the double A-sided Flyin Red/Time To Cry. Max has an extensive list of tracks and remixes with us, most recently his stunning remix of Apollo (Relaunched) (SIT #50) and this time around he serves up two sublime originals. Flyin Red is a truly brilliant track, expertly crafted with a great lead melody backed with fantastic effects and mids. This is a must have for DJ's and trance fans alike. Then we have Time To Cry, which contrary to the title will evoke nothing but joy. Taking on a more progressive feel, the definitive lead melody is expertly weaved into this delicate and emotional track with fabulous effects and mids, all coming together in this beautifully produced tune. Welcome back Max!!! Released on Monday 13th May 2013. 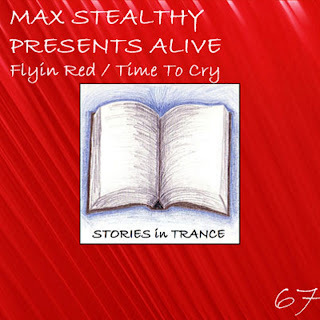 Stories In Trance proudly present SIT 66 and our very first vocal track. 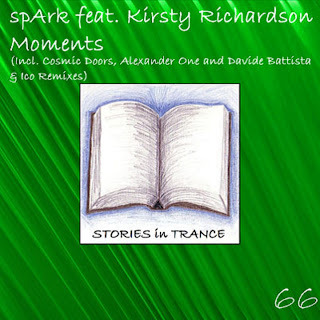 We give you spArk featuring Kirsty Richardson with the fantastic four track single Moments. 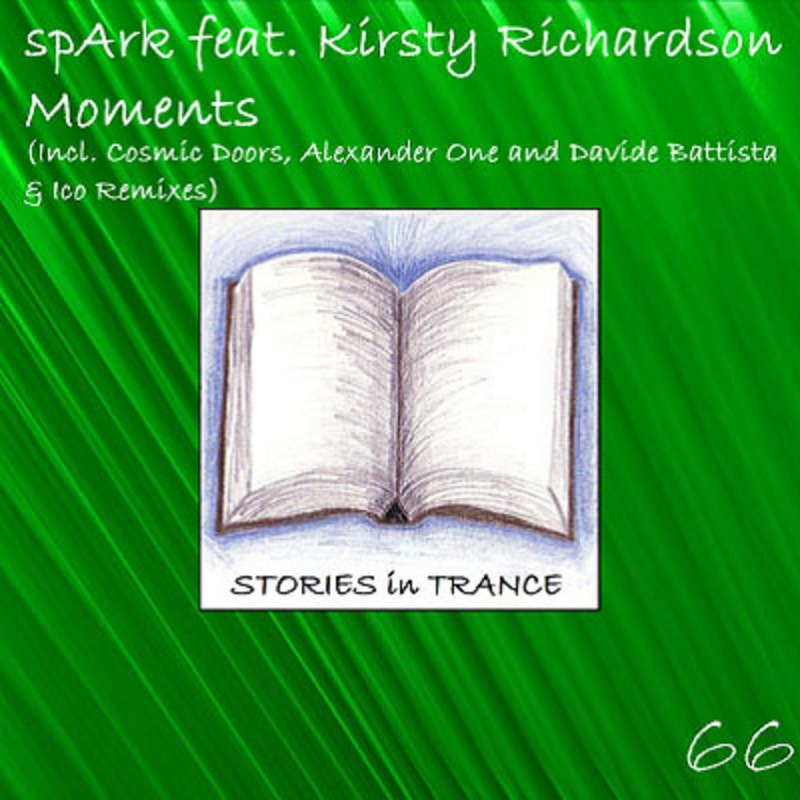 spArk has become a major contributor to Stories In Trance and made a fine debut with his original track Clouds Come (SIT #17) in January 2012. Proving that was no fluke he followed with his euphoric retake on Max Stealthy's Arrinera (SIT #25), setting the standard high for his second original My Freedom (SIT #37) which exceeded expectation. His most recent remix was an excellent version of White Motion's Come Inside (SIT #54) and then backed that up with the superb and diverse four track Lost In You EP (SIT #59). This time he gives us Moments, aided with the beautiful vocals of Kirsty Richardson this perfectly illustrates all spArk's undoubted talents. With elements of both his uplifting and progressive styles, this is pure magic, warm, delicate, beautiful, captivating and always enchanting - exactly what vocal trance should be. Without doubt a massive release for 2013. The first remix comes from a duo who are no strangers to Stories In Trance, but once again return under their new alias - Cosmic Doors - though you might know them better as BB Sound/Alexander One & Davide Battista. Italians Alexander One (Petrone Carmelo) and Davide Battista (Gabriele Stefanini) have made several outstanding appearances for Stories In Trance, including brilliant reinterpretations of Max Stealthy's Arrinera (SIT #25), White Motion's Solis (SIT #28), Yaven's Zeal (SIT #38), French Skies' The Wings Of A Dream (SIT #58) and Lev Rubel's Share Your Moment (SIT #61) as well as their first original for us under their BB Sound alias with the seminal Oblique (SIT #33). Once again they are on top form adding their own flavour to the original and taking it down a more uplifting route while expertly using the vocals to great effect. Power, pace and energy are in abundance, a remix of the highest quality. The second remix is from Cosmic Doors again but this time presented as the Alexander One & Davide Battista club remix. Focusing on more of the vocal elements of the track they take it down a more progressive route, with excellent flow and superb production techniques. With their two remixes here they cover all the bases, offering up everything that's great about vocal trance. The final remix comes from Sweden's Ico (John Eriksson). With tracks and remixes so far on labels such as Diverted, D Max and Nile Tunes, his excellent work brought him to our attention last year so we were delighted to get him on board with his first remix for Stories In Trance, the superlative reinterpretation of Triumvirate's The Persistence Of Memory (SIT #60) and he has backed that up here with another stormer. Ico delivers an energetic, uplifting and emotional trancer with which he sublimely weaves the beautiful vocals into an all round uplifting powerhouse of a track. We feel Ico is certainly one of trance's best up and coming producers so keep a close eye on his future creations. Released on Monday 6th May 2013. This is Stories In Trance 65. We are proud to present the three track single Anti-Climax by Matt Mancid. 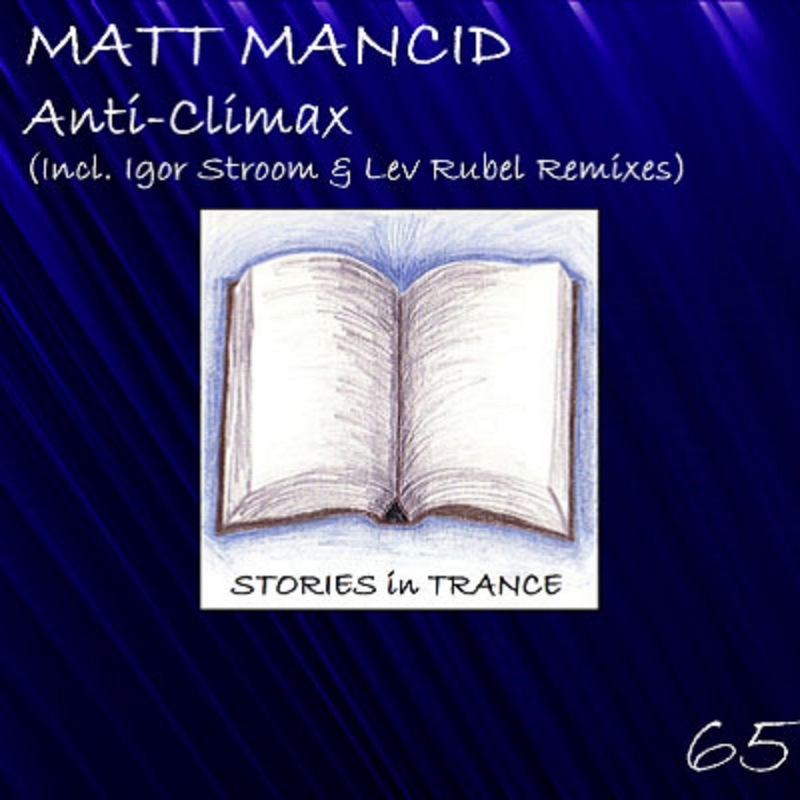 Hailing from Germany, Matt Mancid gives us his first original on Stories In Trance after his debut for us with his impressive remix of David Surok's Avalon (SIT #62). Matt's production career to date has seen him make appearances on labels such as Technotrance-essentials.com, German Engineering, Euro-Dancer.com, Niiemo and Trance Allstars. 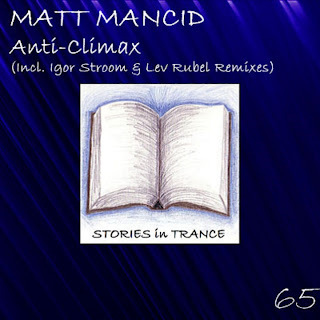 Anti-Climax is a perfect representation of his talents, with captivating piano keys this is a beautiful, warm and fantastically well produced piece of trance and certainly a standout track. Look out for plenty more great tracks and remixes from Matt in the coming months. Backing up the superb original we have Ukraine's Igor Stroom with his offering. After his excellent debut with Radiant (SIT #36) and subsequent follow ups Hope (SIT #41), Aura (SIT #45) and The Sun (SIT #48), he then turned his focus to remixes. His sensational interpretation of Apollo (Relaunched) for our landmark 50th release was highly regarded and his most recent remix was a cracking version of Konstantin Svilev's Exit (SIT #56). Igor once again shows why he has become one of Eastern Europe's most notable young producers. Perfectly using all the best bits of the original with his usual fantastic production technique, once again this is a stunning remix and a brilliant addition to his ever impressive catalogue of tracks and remixes. An absolute must have in any set or mix. The second remix comes from Ukraine's Lev Rubel. Lev made his production debut for Stories In Trance with Insomnia as featured on the Tibbs EP (SIT #44) in October 2012. He backed that up with Fairyland (SIT #53) and Share Your Moment (SIT #61) and in addition gave us fantastic remixes of Ethereal (SIT #49), Bridgestone (SIT #52) and Exit (SIT #56). He continues to showcase his undoubted talent with another great remix; warm and delicate backing to the brilliant lead melody, a delightful flow and feel infused with his excellent production expertise making this a track to relish. Lev is a producer who continues to be widely influential on Stories In Trance.